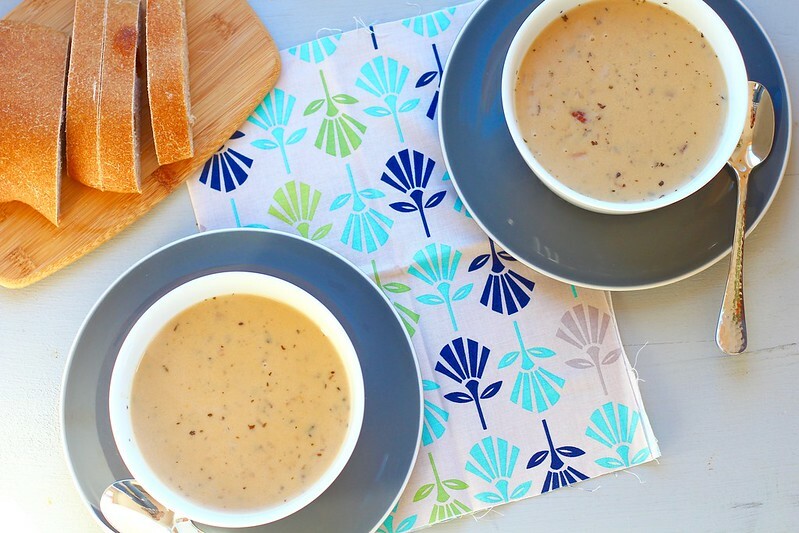 Creamy soups are the perfect indulgence on a cold, winter day. Especially if you've been burning calories outside in the cold all day snowshoeing, skiing, cutting wood, or whatever winter activities you like to fill your time with. 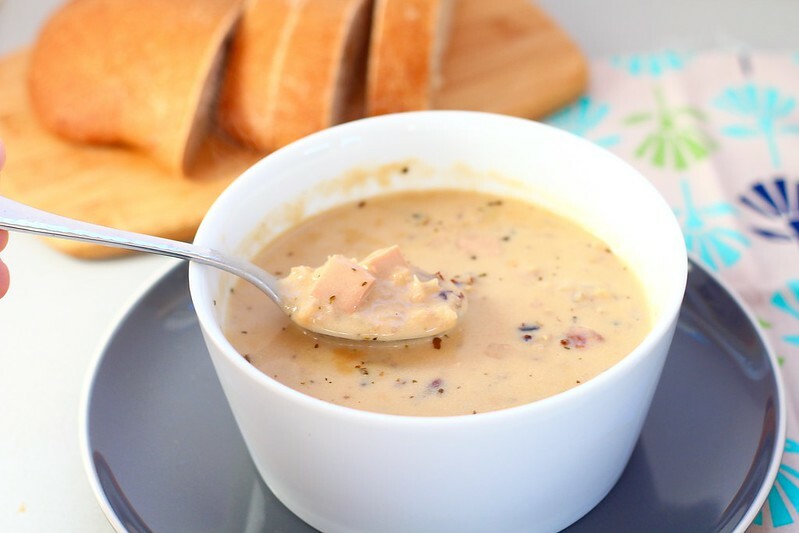 I see creamy soups as being an indulgence, so I don't make them very often. But when I do, I savor every single bite. This particular soup is a favorite. It was a very popular soup made quite frequently in the winter, at a now closed, local restaurant. Any island resident will recall that restaurant and this soup with fond memories. Working at Lily's Cafe for many years, I got to sample so many delicious foods. Growing up being very picky, working at the restaurant (and traveling to foreign countries), really expanded my tastebuds. Thanks to Kyra (the owner of Lily's), who encouraged me to try things I wouldn't have otherwise, I know have a palette with a much greater range. Anyway, this soup is amazing. Only a handful of ingredients are thrown together to yield a hearty and filling soup. This soup is easily doubled to feed a crowd. Or freeze some for the future! Everyone will be pleased to have a steaming bowl of this soup placed in front of them with a hunk of bread, after being outside all day. In a large soup pot, combine the broth and wild rice. Bring to a boil over medium-high heat and simmer, with the top partly on, until the rice is tender, about 40 minutes. Stir in the milk, heavy cream, turkey and tarragon. Bring to a boil again. Meanwhile, make the roux. In a small saucepan, over medium-low heat, melt the butter. Whisk in the flour and cook for 1 minute. Remove from heat. Once the soup is boiling again, stir in the roux and cook until thick, stirring occasionally, about 5 minutes. Taste and add salt and pepper to taste. Serve hot.